A longtime client and friend Hristov consulting, Svetlana Djurdjevic Lukic (53) director and one of the founders of the independent think tank the Center for Public Policy Research, a respected analyst and expert on US foreign policy, human security and security policy, tragically passed away at age 53. She has led a number of projects, with a particular interest on the most important security problems for all Serbian citizens, as well as various social groups in Serbia – young people, Roma, LGBT and women. She has published various works such as monographs and articles in various anthologies and magazines. As a tireless activist, Svetlana was engaged in various working groups in Serbia. Some of them are Government Working Group for drafting the National Action Plan for the implementation of Resolution 1325 of the UN Security Council from 2016 to 2020, the Council of the Center for Foreign Policy Forum for International Relations of the European Movement in Serbia, and others. She regularly worked with the OSCE Office for Democratic Institutions and Human Rights (ODIHR), the United Nations Development Program (UNDP), the Geneva Center for the Democratic Control of Armed Forces (DCAF). 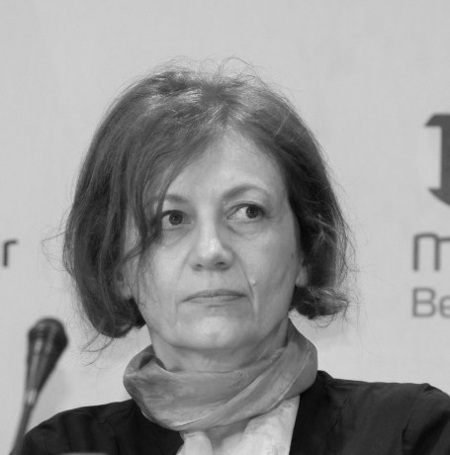 Before founding the Center for Public Policy Research Svetlana worked as a researcher and adviser in the Department for International Development London School of Economics (LSE) in London; Institute for Foreign Policy in Philadelphia, USA; Center for small arms control in South-East Europe (SEESAC) and the OSCE Mission in Belgrade. She was also involved in several projects of the Serbian Ministry of Science, the Ministry of Foreign Affairs and Ministry of Defense, as a researcher and associate at the Institute for International Politics and Economics, and the Institute for Strategic Research and the Institute Vinca. Svetlana’s departure is a great personal and professional loss not only for the Center and its associates, but also the general public in Serbia. Svetlana leaves behind a husband and two children, as well as many close friends. We remain deeply saddened by her sudden and tragic death.